Evenings aboard luxury cruise ships tend to be all about wining, dining, dancing and the fine art of conversation. 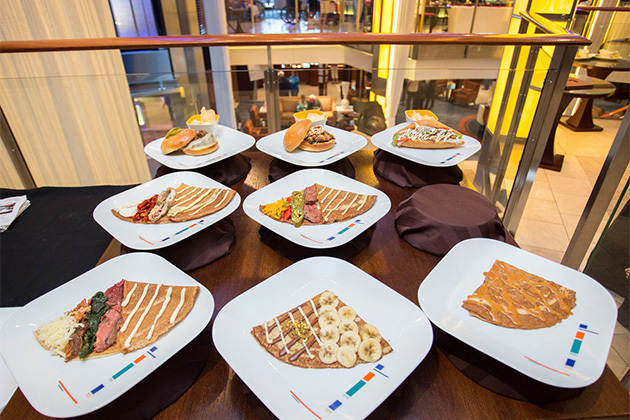 You'll also have the opportunity to enjoy a Broadway-style theater presentation, listen to live music, watch a movie on deck under the stars or spend a few hours at a jazz supper club. While the number of activities will be fewer than ships carrying thousands of passengers, your luxury cruise ship will have plenty of diversions so you can pass the evenings amiably with your travel companions and new friends. 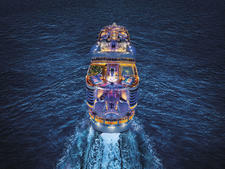 Does the energy level rev up at night on a luxury cruise? It's safe to say that evenings are generally more low key and laidback on an intimate luxury cruise ship than on a 4,000-passenger mega-ship. 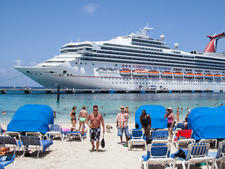 It's partly because there are fewer people onboard and fewer activities staged in the evenings and partly because of the age of the passengers, which typically skews a bit older than the average Carnival cruiser. Shorter itineraries might be your best bet if you want some energy at night. That's because everyone will have a limited time to try out all the amenities on the ship. Likewise, you might want to avoid a port-intensive route since passengers run themselves ragged onshore during the day and then tend to turn in early at night in order to recharge for the next day's activities. Remember that most of these lines are all-inclusive and that encourages people to enjoy nightly pre- and post-dinner cocktails at the ships' bars because drinks are free. 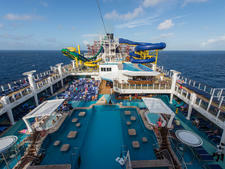 The lounges hum with activity from sunset on -- especially on formal night, if your ship has one. Many people will attend the planned activities, such as shows in the ship's theater. While most luxury ships have a "disco," it's not always the hub of activity -- though it can be if large groups are traveling together and wish to make use of the venue late into the evening. Just don't count on that sort of attendance on every single voyage or even on every night of a cruise. What sort of musical entertainment is available onboard? Every ship handles music a bit differently, but you can generally expect to find a duo or two playing standards and contemporary hits in the lounges before- and after dinner. SeaDream yachts have piano bars as do Crystal ships (check out the Avenue Saloon). Larger ships tend to have more musicians aboard and even multi-piece bands. Paul Gauguin sails with a troupe of Tahitian singers, dancers and storytellers -- Les Gauguins and Les Gauguines -- and has a house band that knows just about any rock song you can imagine. Regent has a nine-piece orchestra on every ship and a similarly sized orchestra holds court in Crystal's Galaxy Lounge. Crystal also offers a six-piece dance band, a harpist, pianist and various rotating ensembles like a string quartet or an a cappella group. Will there be a casino onboard? Every luxury ship offers a casino experience of some sort. Small-ship lines like SeaDream Yacht Club and Windstar Cruises generally only have space for a gaming table for blackjack, poker, craps or roulette and a one-armed bandit or two. Larger vessels like Oceania's Riviera and Marina and Silversea's Silver Spirit offer larger gaming spaces that might be a bit higher energy. If you're new to gambling, lines like Silversea offer a Champagne reception and training session so you understand the concept of each game offered. By law, casinos cannot be open when the ship is in port. You'll need to wait until the vessel is at sea in order to gamble. How about a cigar bar? Absolutely! You should check out the cigar bar if your ship has one -- even if you don't smoke. During the daytime, these rooms are often quite quiet and the low-key clubby vibe makes for an excellent place to read a book or chat with friends if you don't mind the lingering smell of smoke. Cigar bars generally offer a selection of premium cigars for purchase and offer beverage service. When it comes to luxury cruise lines, the word "connoisseur" seems to be synonymous with "cigar." Connoisseur's Corner aboard Silversea vessels is the place to go for a cigar and to sample a range of fine cognacs. Connoisseur Club is the name of the cigar bars aboard all of Regent Seven Seas Cruises' vessels as well as Crystal's. Neither Seabourn nor Windstar ships have cigar bars. Do luxury cruise ships have theaters? What sorts of shows can I expect? Yes, luxury ships do have theaters, which tend to focus on cabaret-style entertainment -- think jazz singers, comedians or hypnotists -- as well as shows featuring medleys from well-known Broadway musicals. 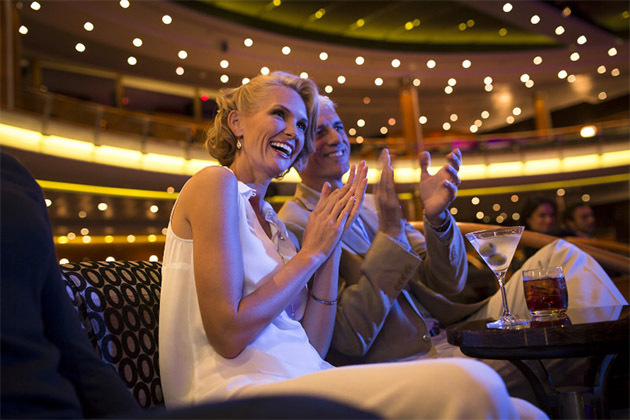 For a more authentic theater experience, select one of the larger luxury ships like any of Seabourn or Regent's offerings; Oceania Marina or Riviera; and Silversea's Silver Spirit. 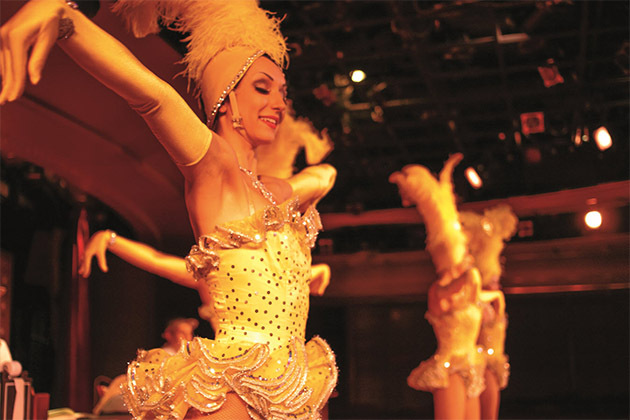 The golden age of Hollywood is celebrated at the Constellation Theater aboard Regent vessels, which hosts cabaret shows, Broadway-style musical revues and Cirque-esque productions backed by the nine-piece Regent Signature Orchestra. Crystal programs a variety of theater experiences as well as magic shows. 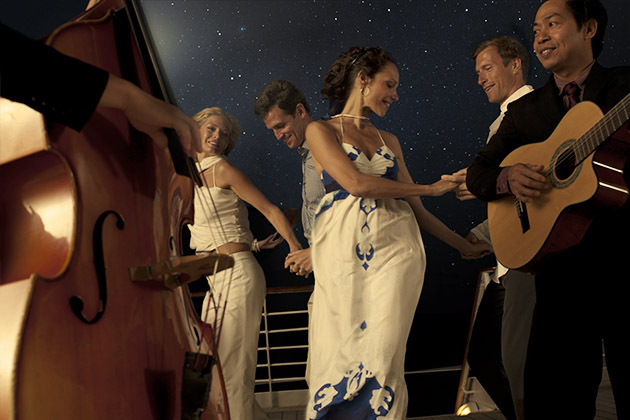 Silversea's Silver Spirit is home to Stars Supper Club, where you can dine while enjoying various jazz acts. And, don't forget about the crew show. Just about every ship offers up one of these once per itinerary. It's an opportunity for you to witness the hidden talents of the ship's crew and officers. Do luxury cruise ships have night clubs or discos? Each luxury ship has a nightclub that offers music and dancing in the evenings -- sometimes late into the night. (There is also a lounge offering music and dancing, generally at a slower pace than what you'll find at the nightclub.) Whether or not anyone actually visits the disco totally depends on the makeup of your specific cruise. On certain sailings -- especially if there is a group or partial charter -- the disco can be busy, while on other voyages, it's a ghost town. Either way, the crew will do their best to liven things up in the club during the evenings by keeping the drinks flowing and the music playing. The music might be DJ'd or a live band, depending on the ship. Occasionally you'll also find a piano player in another lounge that will take requests and encourage sing-alongs that are always a hoot. Karaoke might be available as well. Will there be ballroom dancing on my cruise? Ballroom dancing -- as well as other forms of dance like swing or salsa -- have enjoyed resurgence in recent years. While dancing was always popular aboard luxury ships, there is a new emphasis to be sure those who wish to dance have the opportunity during their cruise. Crystal, for example, goes to great lengths for its dance-loving passengers. 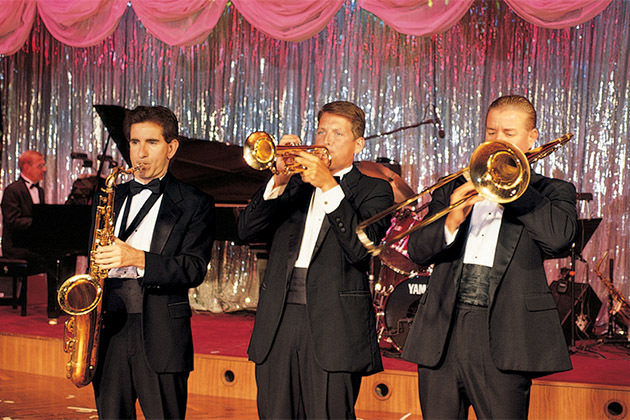 Several times a year the line hosts Big Band and Ballroom Dance theme cruises (usually during crossings and Panama Canal transits). Well-known big band ensembles play each evening and if you don't already know how to dance, instructors will be onboard to teach you. On regular sailings, head to the Stardust lounge for dancing each evening. If you're traveling with Seabourn, check the daily schedule for its "Evening Under the Stars," complete with live music and dancing on deck. I love to dance but I travel solo. Do luxury cruise lines have dance hosts? Some luxury lines like Crystal Cruises have dance hosts called Ambassador Hosts. Male hosts are onboard for every single sailing, while female dance hosts are available on select voyages. Silversea offers male dance partners on select sailings while other lines don't offer them at all. 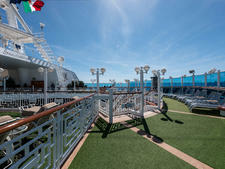 Are there any entertainment options on the sun deck at night? Seabourn and SeaDream Yacht Club, like some of the more mass-market ships, offer movies on deck after the sun goes down. Grab a lounge chair and some popcorn and enjoy this unique experience. Silversea plans a deck barbecue -- with live music -- once per voyage on its warm-weather sailings; Windstar also does a BBQ with accompanying deck party. How can I find out more about nightlife and evening entertainment on cruises?